Today is Monday!! Are you guys not excited to know the new theme? Well well, I am traveling and here I am sitting beside a cluttered table with my laptop on it and keying away! Now we have come down to the last of the themes. From next week, we will start a fresh. I hope this season premiere of “I travel” to “I review” to “I believe” was a fun ride. Let’s explore what I mean by “I read”. In ‘I read’ I will and so will my guests, write on anything that can be read. And yes don’t restrict your imagination to only books. There will be very interesting ‘reads’ coming your way, I promise! Here we go, the first of the lot in the theme. I am traveling as most of you know. I have stacked up six books for my nine days travel. And I have already managed to get over with my first read on day one. Yes I have already started eyeing bookshops on the go because I have a strange feeling my six might end before that flight from Trivandrum! A while back Apoorva Kapoor (I wonder why I often use her whole name in blog!) 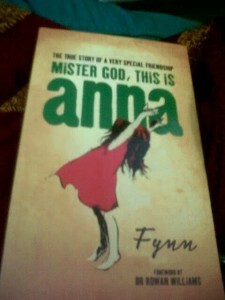 recommended this book called, “Mister God this is Anna” by Fynn. I had instantly purchased it but somehow in my long list of reads it came a little late. And boy was I surprised! I almost raced through it in flight with hardly forty pages left for hotel room. I wish I could say it is something I have never read before. Because I have. If any of you have read, “Curious case of dog in the night time” the you will find similar shades in this. But having said that I would also agree it is different and has its own version of things. I would also say it has dealt with religion and God more profusely and interestingly as compared to any other book I have read so far. An eight year homeless girl when adopted by Fynn changes his entire way of looking at life and religion. Her simple anecdotes will make you smile, her out of the world theology astound you and yes the end will make you wee bit sad. I am not giving any spoilers or reviews, but this book, which by the way is a true account of Fynn’s friendship with Anna, is a must read for all. Irrespective of what genre you like, this one will hold some meaning for each one. Two of the quotes that gives you an insight as to how Anna thinks about life. Lovely the second quote…wrung my heart…I’ll have to pick up this book! I thoroughly enjoyed your themes and definitely looking forward to more! Have an awesome trip dear…enjoy! Thanks Sivakarthik you must read it, different kind of book…. not even the tip Kathy, the book is much much more… Do read! I am going to try it everytime I travel from now onward, one of my resolutions. and yes go go look online. If I find it will pass it along.. Hats off to the patience of the people around ardent readers and I admire your courage to test their patience. Good job Richa, but I will still say that try to disconnect a little while you are travelling, all of us will remain here, waiting for you to update once you are back. All the best and have a good trip. I am very choosy about books ,curios incident was a great read. I have fallen short of good books so I am.rereading my fav.authors all over again. Loved the review or summary or whatever… You have been hooked on to the book with the 2quotes. Its on my reading-list now among 2 parallel already reading & 3in pending list. hehe you are lucky three pending is less 😀 25 this side!! You are a good philosopher. 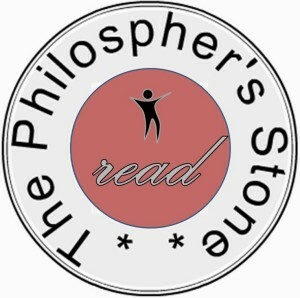 It is very interesting to observe there are some younger generation indian people have multiple interests and glad to know that atleast some of them are good readers with a quest to read and explore the world through books and share their knowledge with others through blogs and also through other means. Best wishes for your knowledge sharing effort and i hope you many more people are attracting to your philosophy and wisdom. All the best to you and best wishes to your career and personal goals. This is my Lamps of India message which i shared in my Heritage of India blog. Please look into my Lamps of India message and share your inspirational comments. Thank you so much for your kinds words 🙂 and I will surely look this post and provide comments…. Wow, loved the second quote.. I havent much read this genre of books but would like to give it a shot for sure. Such a sweet book – you mentioning it makes me want to reach out again for my copy, Richa. It’s so full of wisdom, isn’t it? It is full of great pieces of wisdom. I feel I too must read it again 🙂 and yes kindle works very well on vacations… true! Will be adding this to my “to read” list. I use the kindle app now on my ipad. So much easier to carry around. its a lovely book.. have read it long ago and it remains among my top 10 most recommended books to others.. The book is worth reading, I agree. Worth meditating about. True Tomichan, it leaves you with many thoughts…..